Security Systems – Central Alarm Signal, Inc. The package of custom security and monitoring systems available from Central Alarm Signal can mean so much more than the routine security and fire alarm systems many other companies offer. An expertly designed and installed security and monitoring system from Central Alarm Signal offers you the most up-to-date, telephone line supervised, environmental monitoring and home automation options available. We can design a total security package that will monitor and protect just about anything you care about and hold dear. Your telephone line is the primary link between your security system and our Central Station. With Telephone Line Supervision, our Central Station is notified of any lapse in your telephone service, and we notify you and the police if you are the victim of a cut telephone line. With Telephone Line Supervision, you may never have to be concerned about your security and monitoring signals reaching out Central Station and the police in an emergency situation. Our latest offerings do not require a telephone line to operate. We have multiple systems that provide these features, but none more exciting than our Web-Enabled Security Systems. Using the power of the GSM wireless network, signals are securely transmitted to the operations center where they are processed and routed to our central station. At the same time, the information is uploaded to a secure website for you to view and make changes to your system, as well as text and email messages to anyone you desire. Grocery stores, restaurants, and commercial food dealers, depend on freezers and coolers to keep inventory at optimum temperatures that ensure freshness. Users of delicate computer equipment rely on our temperature monitoring systems to protect their operations from record loss and equipment failure from temperature variance. Residential subscribers depend on us to notify them before pipes freeze, basements flood, or carbon monoxide gasses reach unsafe levels. We can help you prevent costly spoilage, record loss, and residential damage by installing and monitoring environmentally sensitive detection devices in your home or business. 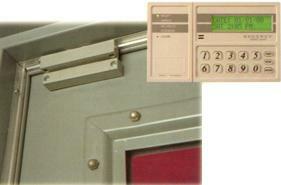 We can develop a home automation system to interface with your new or existing security system. Any telephone at your home or office can be a control keypad, allowing you to change access codes, arm, or disarm the system, and use voice prompts to communicate with your security system. You can program your system to allow access for household help and repair personnel. Home Automation allows you to save energy costs by controlling heating and cooling, deter intrusion by lighting control, and let you manage home equipment from inside your home or anywhere in the world. Our Open and close monitoring option notifies our retail subscribers when their business is not open or closed on schedule. It could be employee tardiness, employee entry at an unauthorized time, or a hold up at the opening or closing of the business. By monitoring open and close signals and we can provide you with a monthly record of these events for managerial and safety needs. The hold up, panic and remote panic button option available from Central Alarm Signal, lets your employees and loved ones send a “help” signal to our Central Station . With panic, hold up and our home medical monitoring option, Central Alarm Signal can quickly summon police or medical professionals to get you the help you need in an emergency. The advanced security and innovative monitoring options Central Alarm Signal can provide you with, will only enhance the “Peace of Mind” we strive to give all our valued subscribers.